Prepare to be flexible with your travel arrangements. Image courtesy of Shutterstock. Try to give as much notice as possible about dietary requirements. Image courtesy of Shutterstock. Don't monopolise popular water toys. Image courtesy of Shutterstock. 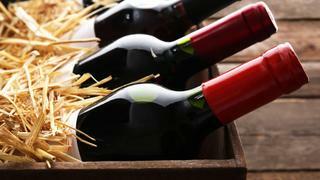 A case of fine wine makes the perfect gift for your host. Image courtesy of Shutterstock. Always answer the invitation promptly, as most owners have only five spare cabins on larger yachts and so can have a max of 10 guests. Smaller yachts can only accommodate eight guests so the sooner you reply the more time your host has to firm up their plans. Never ask if you can get back to them at a later date, as it puts the host in an awkward position. It is unwise to buy a fixed ticket. Yachts are weather dependent, therefore you must be prepared for changes to the itinerary; for example, you may have to disembark elsewhere. Be flexible and prepared to arrange alternative travel plans. Do ask for embarkation ports and time of arrival, as well as port of disembarkation and the best time. Also ask if transport will be provided, and who to look out for. 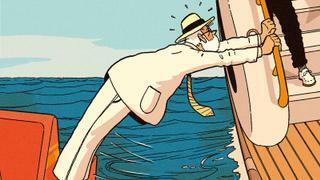 Most yacht owners will send a member of crew to collect you from the airport. 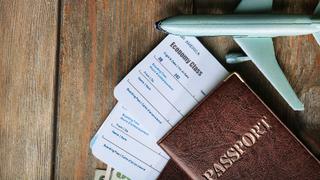 Be prompt with your travel arrangements, and forward your passport details to give enough time to arrange everything. If visas are required then do get them as soon as you are able, and forward this information too. Of course, every host is different in their expectations of their guests, and the amount of freedom they give them. Bear in mind there is usually a set programme, which most hosts discuss the night before. Be cautious not to monopolise or cling to your hosts, who may need some downtime in their cabin or on their owner's deck to relax. Do be punctual at mealtimes as the chef has worked incredibly hard preparing a delicious meal, and you don’t want the other guests waiting for you. 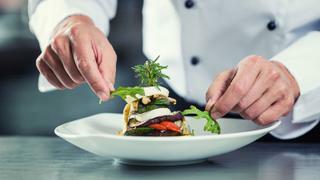 Chefs are notoriously highly strung and like their meals to be eaten when served. You can usually see the menu printed out beforehand and if there is anything you can’t eat tell the chief stewardess early, so she can advise the chef. Most hosts are happy to accommodate occasional changes, but it’s a good idea to be flexible and offer to be happy with a salad or a pasta dish when changing. Remember, you are not in a hotel, and the boat isn’t to be used as one. The host decides which meals are to be eaten on board, and which meals will be in a restaurant on shore. I always leave a tip, but this is a very individual thing. Some hosts tell their guests what is expected and this can be helpful. Try to be as generous as you feel – you have had an incredible time. The tip is placed into an envelope, and given to the captain along with a thank you note. A good time to mention any dietary requirements is when accepting your invitation – the chef can then provision accordingly. Ask for the itinerary at this stage, too, so you can plan your wardrobe in advance. Laundry is usually discreetly taken out of your cabin and returned the same day. If you have specific requirements then speak with the chief stewardess by all means, and she will convey this to the laundress. It is frowned upon to ask for your dainties to be hand washed; wash them yourself or take them home. Never leave things on the floor to be picked up, and try to leave make-up and creams inside the bathroom. Dry cleaning is also something that cannot be accommodated, as the yacht will most likely be on the move. The crew are there to serve you and to ensure you have an amazing time. Generally, they will cater to your every need, but don’t ask them to do anything you wouldn’t do yourself. Be pleasant and polite, but not overly familiar. They are not your friends, and have very demanding jobs to do. If there is anything you are unsure of, speak to the chief stewardess. She will guide you and advise you, and will be very willing and helpful. Most yachts have an amazing selection of water toys, and there are usually certain times set aside for enjoying them. The crew will instruct you on how best to use them, but remember these items are very costly and need to be treated with care. Always follow the guidelines explained by the crew, as most accidents occur during water sports. 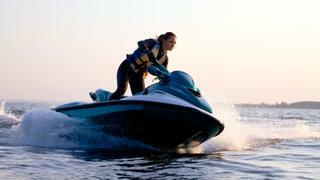 Don’t monopolise a certain toy, like a jet ski, if there are other guests waiting to use it. Do feel free if you are on your own. It is also important not to enter the yacht with a wet swimsuit. Always dry off carefully and leave the swimming towel outside, where it will be collected by a member of the crew. The host usually decides which restaurant you’ll be dining at, and has usually booked well in advance. Very often this will be brought up in conversation, and this will be the only time to make recommendations, if asked. If you have your heart set on a different restaurant, go another time and stay in a hotel. You are part of a group, and you need to stay in the group. Most guests take turns paying for meals on shore, and try not to let the host pay for anything. Do be punctual and be at the tender at the requested time. There is nothing more irritating than having to wait for guests while sitting in a tender. Join the host’s WhatsApp group so you can always find each other and know where to be at the right time. As you take pictures, upload them to the chat to share the memories. Never drink more than you can handle and become a burden to the host. Accidents can happen on board, and the sea is not a street but a mass of water with its own personality. Remember, you are joining the equivalent of a house party, and the same rules apply. Always bring a thoughtful gift, but not an item you will expect to be displayed on board, unless you are very close to the owner and familiar with their taste. An incredible amount of time and thought goes into the interior design, with the world’s best designers supplying everything down to the last detail. A case of fine wine to drink on board will always be appreciated, or a luxury designer gift such as a cashmere sweater or handbag is also a lovely item to bring. Remember to choose neutral luxury, which is much more likely to be used by the host. Hosts love it when their guests take wonderful photos of the trip, and share them with everyone. One very thoughtful guest had an album made for the host and this is a very special thing to do. Always leave when you say you are leaving, as tempting as staying on may be. Unless the stewardess offers to pack for you and you are happy with that, pack up in plenty of time, so you will be able to sit with the host for a few minutes before departure. Some yachts have guest books, and the crew love it if you write in it and express how wonderful they were.